Over 120,000 visitors showed up on Sunday for the third day of the first-ever Aquavina Ornamental Decor Festival held in Ho Chi Minh City’s Tao Dan park. The first-of-its-kind fair hosted nearly 100 booths put up by farming associations, handicraft villages and both local and foreign agricultural businessmen. The event aimed to promote and pave the way for a newly emerging sub-sector in Viet Nam. Ornamental décor is part ecological-agriculture and part industrial-production as it includes everything one could ever want to beautify a home, office or place of business: bonsai trees, precious decorative stones and rockwork, rare flowers, ornamental fish, birds, other domestic pets such as dogs, unique wood cuts, woodwork and wood carvings, and other handicrafts, often using “nature” as the theme. Vo Van Cuong, head of the city’s Ornamental Decor Society, said the event was an opportunity for Vietnam to showcase its potential in ornamental decor, boost exports, and promote international exchange. The exhibition offered people a chance to buy products from well-known farms, handicraft villages and farmers’ associations based in HCM City, Ha Noi and other provinces such as Lam Dong and Binh Duong. The festival attracted business representatives from 31 provinces and cities from all over the country, as well as exhibitors and buyers from Singapore, Thailand, Malaysia, Indonesia, Germany, the Republic of Korea, Taiwan, and the Philippines. Northern Vietnamese provinces brought to the festival all kinds of bonsai trees and ornamental plants while central coastal provinces specialized in various fine arts stones. The Central Highlands provinces brought diverse temperate flowers and fine woodcarvings. The Mekong Delta is famous for its tropical flowers, ornamental plants and small bonsai trees. Interestingly, vendors from Ho Chi Minh City exhibited 500 glass ponds, 80 species of ornamental fish, 20 breeds of dogs, and varieties of tropical flowers and stones. 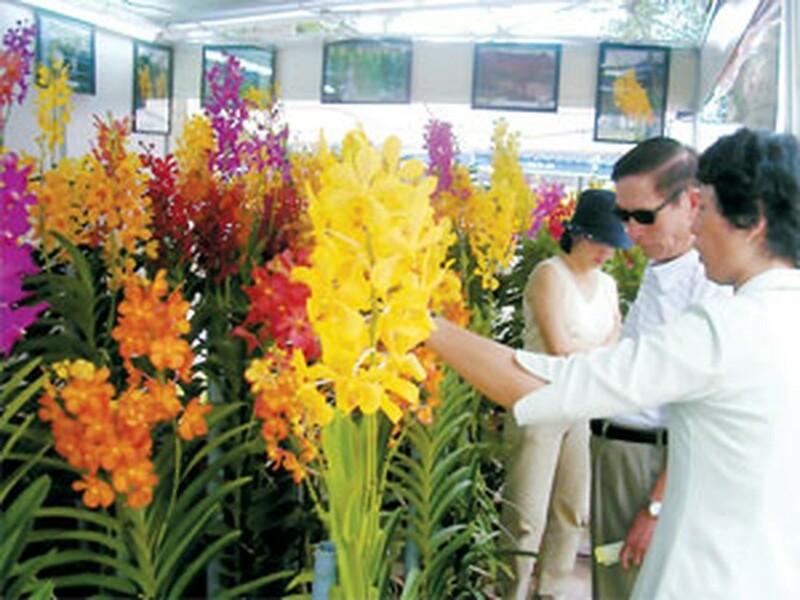 Chairman of the HCMC Ornamental Decor Association Vo Van Cuong said the festival is a good chance for Viet Nam to promote trade with other countries in this respect and call for investment for two upcoming projects on ornamental flowers and fish in the Cu Chi and Binh Chanh districts of Ho Chi Minh City. Organizers said the fair also aims to provide business and marketing support to the festival’s participants. "Several seminars focusing on investment and business activities in the field will take place as part of the event," said Truong Hoang, head of the festival’s organizing board and deputy head of the city’s Agricultural and Rural Area Development Steering Board. "Through the seminars, we hope to improve trade ties between local agricultural producers and their foreign partners," he added. 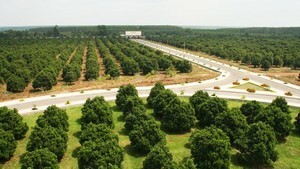 Truong Hoang also said ornamental decor will soon be a strong force in HCMC’s urban agriculture sector and the city will designate 4 percent of its area--2,000 to 3,000 hectares—for ornamental decor production and build large-scale specialized zones as well as apply high technology to develop this sector. Viet Nam hopes its name will soon be synonymous internationally with high quality ornamental décor. There is a lot to be done to make a Ornamental Decor economy feasible. Farmers producing many of the agricultural goods are required to have much more specialized knowledge of more rare and unique products and economic values of the products will always fluctuate as they are coupled with the goods’ aesthetic appeal. Director of the HCMC Agricultural Consultancy and Assistant Center Tu Minh Thien proposed that the city build whole-sale markets and connect retail sellers, which was one of the goals of the recent festival. Chairman of Cu Chi District’s Ornamental Decor Association Pham Anh Dung also said that farmers are largely concerned with variety and a practical market for these products. He stressed that in some cases Viet Nam is not yet fully self sufficient in this sector. For example, new enterprises will have to seek out good importers for seeds to many of the in-demand flowers that are not native to Viet Nam. Mr. Vo Van Cuong showed his concern over the city’s unstable production, indicating that the city will have to successfully connect the interests of producers, consumers and the government, as he said similar economic sectors have done in emergent industrial countries such as Taiwan. Truong Hoang, head of the organizing committee, said if the festival proved a success it would be held annually. Before leaving, representatives from Singapore, Thailand, Malaysia and Indonesia promised to co-organize a successful festival in the same vein next year.